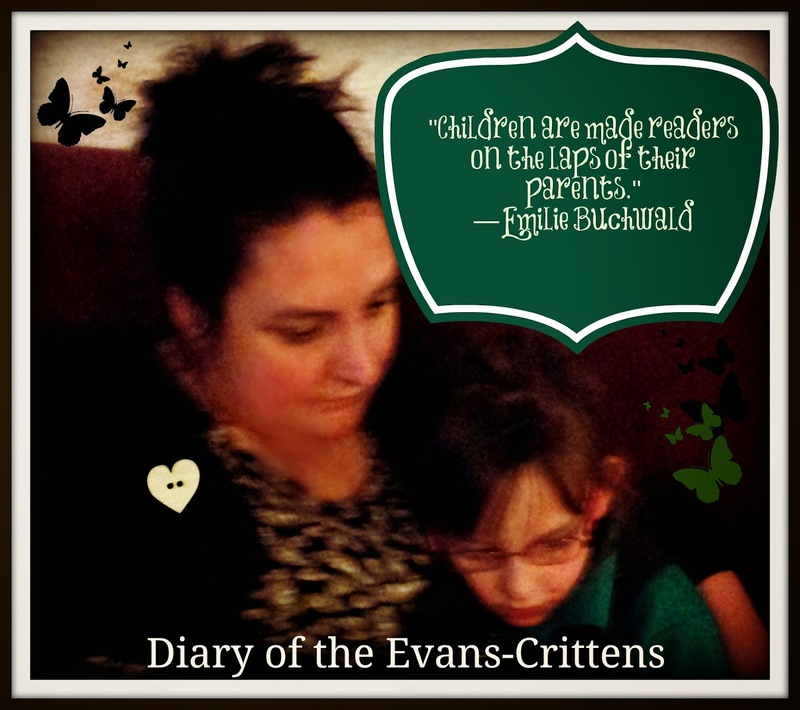 I was delighted when The Works offered to send us a free book, as we Evans-Crittens all love reading and books. I was asked to compare my thoughts on reading a book with my thoughts on children watching television. I have to admit, I’m not against children watching television. We’re very busy in our house, and always out and about so our children being babysat by the television or sat watching nonsense for hours and hours has never been an issue for us. If it did become an issue then we would put limits on it, however, at the moment they are lucky if they get to watch any TV at all and that’s fine by me. One thing I do notice is once they start watching tele it can be difficult to get their attention. I have to stand in front of the TV or turn it off. They know it is continuous and (unless they pause it) they will not be at the same place once they return their attention to it). At the weekend, after a busy day, we love to cuddle up together and watch a DVD together. The kids also have portable DVD’s and at the weekends can use them. You only have to come to our house to see that we love reading. We have bookcases, shelves and books everywhere. I always say that you cannot have too many books, however I now think that you can have too many books for the small space that you live in. I really need a bigger house with a library! However, even with lack of space being a problem, just like The Works, I really hope that the printed book will survive the digital revolution. I love the physical-ness of books- the smell, the memories, the messages written inside, the sturdiness and being able to turn a page. Reading books on your phone or Kindle is great for when your travelling light or want to read a new book instantly, but if it is a book I love then I definitely want the book in printed form. This is especially true of children’s books. From the soft fabric books my children have chewed and stroked since being babies, to the hardback lift -the -flap books which aid fine motor skills and are such fun to read, to the bright colourful picture books which we reread again and again. We read books at any opportunity we get. If I have a good book on the go then every chance I get I read as many pages as I can. My kids are the same, on the rare occasion that they are ready early for school, they will sit on the settee and read or look at a book. If we have to wait in the car or at an appointment then we will read a book. If there is a special seasonal occasion, for example Mother’s Day or Easter then I will read a book about the occasion to set the scene before we do craft activities. There is one time of day in our house when reading books is sacred: bedtime. No matter how busy or tired I am, I will never sacrifice our bedtime story time in our house. Having four children, it takes a long time but it is worth it. I first go to the middle girls room and listen to them read their school books to me. Then depending on time and the length of the books, I read one or two picture books to them. I then read a page of our new book from the Works, “Disney 365 Stories for Girls”, as there is a short story for every day of the year. Then we will read a rhyme from Caitlyn’s school folder and each girl can choose a song for me to sing to them. Isabelle is with us too and we often give her a baby book to hold as she listens to our stories. Once Danny is bathed and in pyjamas, he comes in and listens to the end of the stories too. Then, Isabelle and I go to Danny’s room and listen to him read his school book. I then read a chapter or two of his book to him. Sometimes we take it in turns to read a page each, it depends how tired he is. Then I read him a Relax Kids meditation to help him sleep. I have to admit that I feel closer to my children when reading to them. I like how I can vary my voice during story time, if I can see my children getting sleepy then I will soften my voice. I like how kids can carry their favourite book around like an old friend. 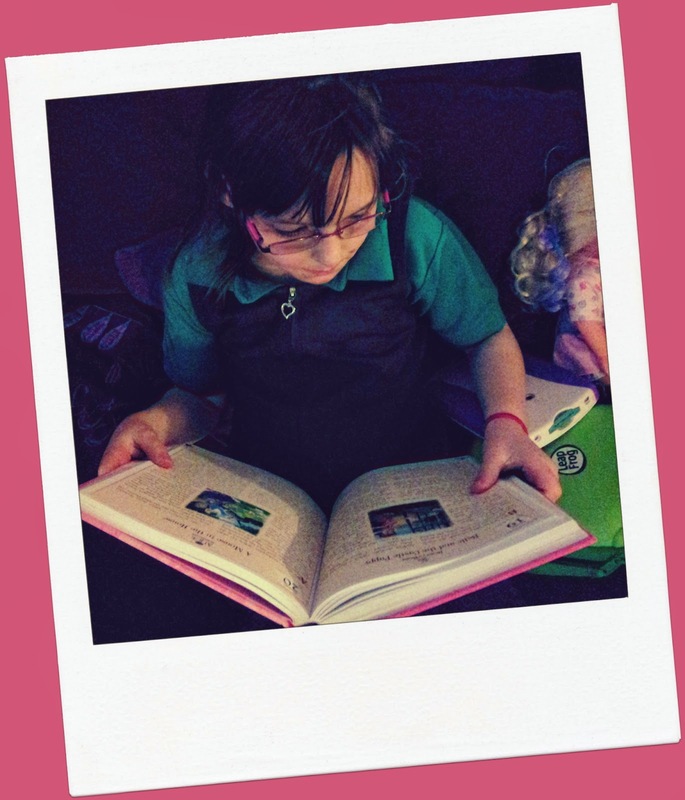 Rebecca likes to use her books to help her write stories and copy the pictures. I’m more likely to do follow up with a book- ask my children what they thought of it and what might happen next etc. While the kids watch TV I will get on with doing housework rather than sit with them, but if I’m reading to them then I have to sit down with them. My kids love me reading to them as they know they have my full attention. At the weekend, I do like to watch a DVD together as it is a different experience and less effort than reading a book. If my kids watched too much television, then I would start to feel guilty. However, I feel that I can never read to or with my children too often. 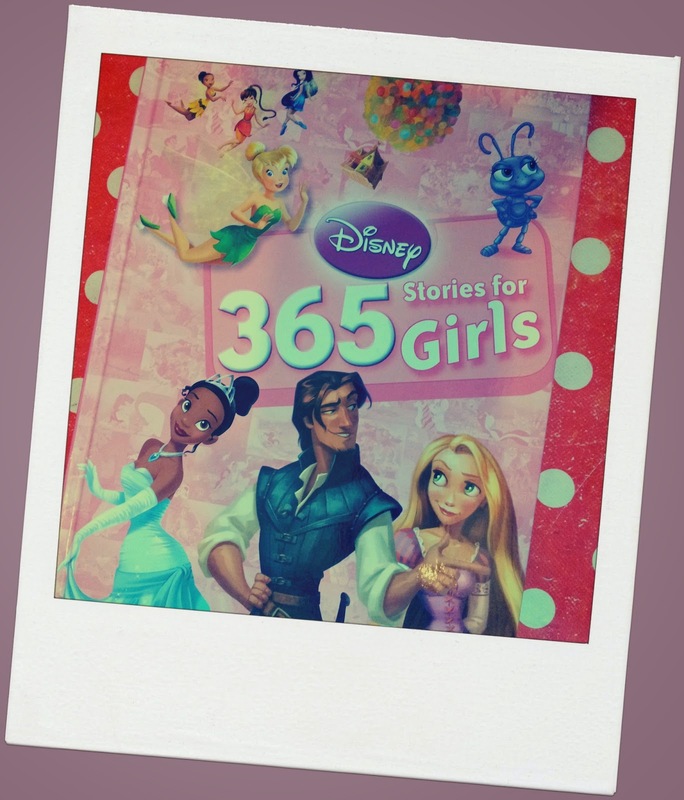 Disclosure: I was sent “Disney 365 Stories for Girls” by the Works to read to my children, so I could compare reading with children to watching television with children, as they are currently researching this topic. All views and opinions are my own.